With everything going on in the world, the news can be downright overwhelming and oftentimes upsetting. Luckily, there are some amazing YA books that help us understand, empathize, question, and ultimately act on these important issues. Here are 11 excellent stories to inspire us to be the best activists and allies we can be. Read them, talk about them, and use them to take action on the issues you care about most. Return to President Obama's White House in this anthology for young women by young women, featuring stories from ten inspiring young staffers who joined his administration in their 20s with the hope of making a difference. Featuring art and writing from the students of the Parkland tragedy, this is a raw look at the events of February 14, and a poignant representation of grief, healing, and hope. 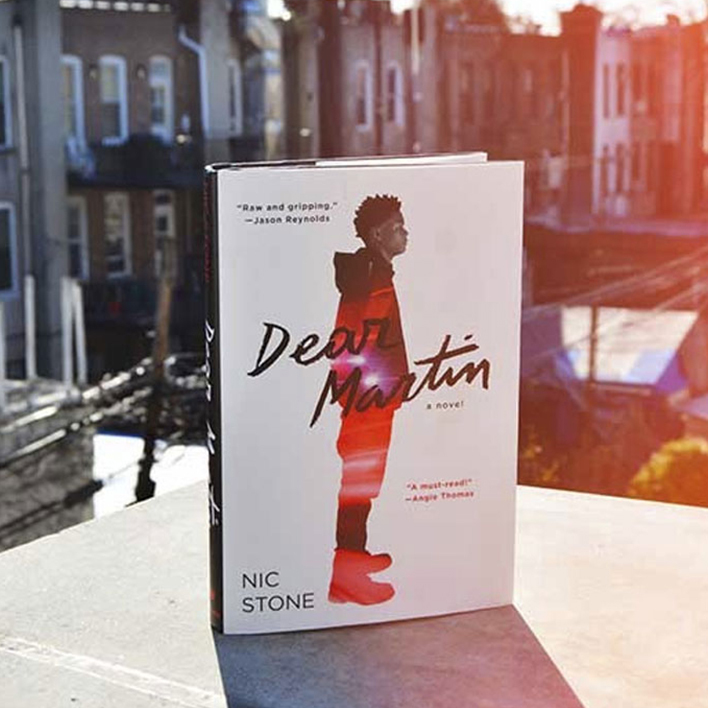 Raw, captivating, and undeniably real, Nic Stone boldly tackles American race relations in this stunning New York Times bestseller, about Justyce who gets arrested for being in the wrong place at the wrong time. Justyce's eyes are opened to the harsh injustices and prejudice that exist all around him, and begins to write a journal of letters to Dr. Martin Luther King Jr., asking the question, does the American Dream still run skin deep? Just Mercy, Bryan Stevenson’s exploration of the broken US justice system, has been adapted specifically for young adult readers. As a lawyer and social advocate, Stevenson dives deep into both his personal experiences and those of the most marginalized and oppressed people in the country who have been discriminated against and/or wrongly accused of a crime. This moving collage of stories is inspiring and powerful, and best of all, a portion of the book’s proceeds will go to charity. In this extraordinary essay collection, forty-eight actors, musicians, writers, politicians, athletes, activists, and teens share times in their lives when they persisted in spite of being discriminated against due to their race, sexual identity, or gender. From NFL player Wade Davis, who recounts painful memories of bullying a gay classmate in order to hide his own identity, to teen Gavin Grimm, a transgender student who won a court ruling that led to the infamous “bathroom bill,” this gem of a book speaks to the resilience of the human spirit and will help you feel less alone in your own struggles. A journalistic look at the shooting at Marjory Stoneman Douglas High School in Parkland and the fight for gun control—as told by the student reporters for the school’s newspaper and TV station.This timely and powerful book is an inside look at that tragic day and the events that followed that only the teens who experienced it could tell. It showcases how the students came together to report on the tragedy in their own words, and how they have become media savvy and the skills they have learned and honed—harnessing social media, speaking to the press, and writing effective op-eds. Now that the movie adaptation of The Sun Is Also a Star is hitting the big screen in 2019, this oh-so relevant book is even more timely. The story follows two main protagonists: seventeen-year-old Natasha “Tasha” Kingsley and Daniel Jae Ho Bae. 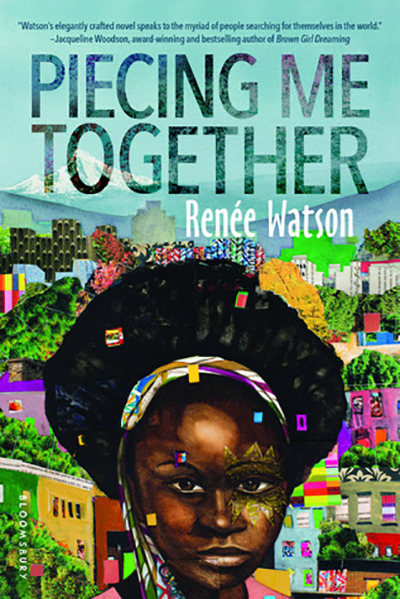 Tasha and her family are just twelve hours away from being deported to Jamaica, so she decides to take a shot in the dark and visit the United States Citizenship and Immigration Services (USCIS) in an attempt to convince them to let her family stay. While on her way to meet with an attorney, Tasha runs into aspiring poet Daniel, an artistic teen bound for Yale. As fate would have it, the two meet and fall for each other over the course of one day. The novel deals with a plethora of hard-hitting issues— ethnicity, race, the immigration system, loneliness—while enveloping readers in the magic that can only come from a first love. Julia is not the perfect Mexican daughter. She wants to leave her parents’ home after graduation, go away to college, and, at least in the eyes of her family, abandon the people who love her the most. But after a tragic accident leaves her beloved sister Olga dead, Julia becomes the outlet for her mother’s grief, having to hear every detail of her failure as a daughter. But with the help of her best friend and boyfriend, Julia begins to unravel the secrets Olga kept from the family in order to maintain her perfect-daughter facade, and discovers there’s no way she can ever live up to the ideal her parents have set for her. Half-Mexican and half-white, Danny lives in San Diego close to the border and is constantly grappling with the ways in which he feels that his whiteness separates him from the rest of his family. He doesn’t speak Spanish. He even believes it was his mixed heritage that got his father sent back to Mexico. While spending a summer with his father’s side of the family, Danny is finally forced to face his demons, and becomes entangled in a powerful friendship with another teen that neither boy saw coming. This novel is all about identity, friendship, and self-acceptance, and is perfect for lovers of contemporary YA fiction. This touching and oftentimes hilarious memoir follows the real-life story of one teen’s experience growing up as an undocumented immigrant from the Middle East. At the age of thirteen, Sara Saedi discovered a shocking secret: simply by living in the United States, she was breaking the law. Saedi’s parents fled Iran when she was just two years old, and along with normal teenage anxieties, like not having clear skin, or a car, or a boyfriend, the constant threat of deportation looms over her head as she works to get a green card. This vitally important autobiography will have you laughing, crying, and feeling like you and Saedi are the best of friends. 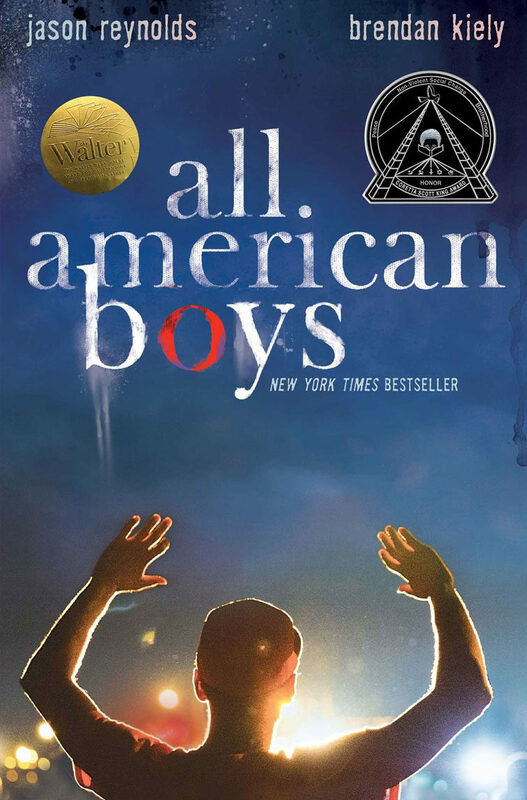 Brendan Kiely and Jason Reynolds cowrote this award-winning novel about two teens—one black and one white—who must grapple with the aftermath of a violent incident that leaves their school and community in shambles. Shy and artistic black teen Rashad Butler is mistakenly accused of shoplifting and brutally beaten by a police officer at the local bodega. His white, varsity athlete classmate, Quinn Collins, witnesses the incident. Quinn is shocked to realize that the officer who beat Rashad is the older brother of his best friend and his own cherished mentor. Rife with diverse perspectives on police brutality and the tension created by racism and privilege, this 2016 Coretta Scott King Author Honor Book is not to be missed. This astonishing, New York Times bestselling novel-in-verse follows Afro Latina teen Xiomara Batista through day-to-day life in her Harlem neighborhood. Xiomara pours her private thoughts and frustrations onto the pages of a leather notebook, reciting her poems to herself like prayers. She secretly joins her school’s slam poetry club, desperate for her voice to be heard but afraid that her mami will find out and refuse to let her participate. 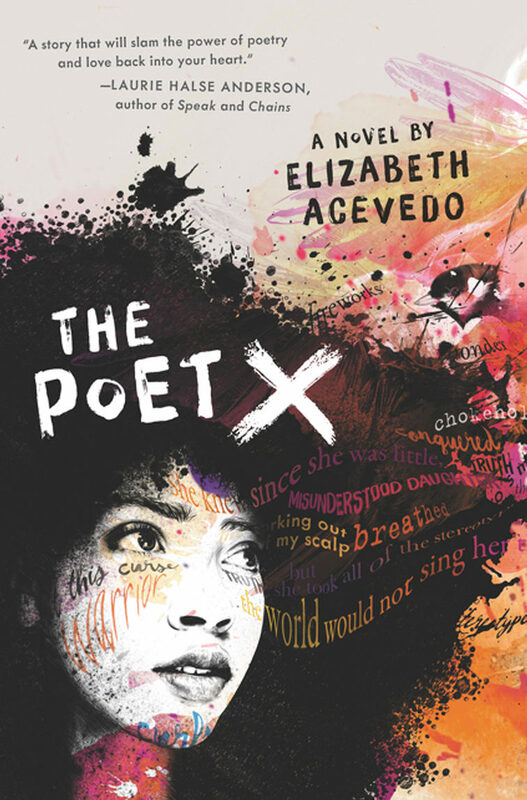 Elizabeth Acevedo’s debut amplifies the voices of girls in El Barrio and offers up a complex and nuanced heroine to root for. Each day, high school junior Jade rides the bus to her elite, mostly white private school, far away from her family and friends, but chock-full of opportunities that her mother insists she take. Jade feels like an outsider there, and she’s tired of being singled out and stereotyped as at-risk just because she’s black and comes from a rougher neighborhood. At the start of the new school year, Jade is offered admittance to a mentorship program specifically for “at risk” girls, even though she is a stellar student who works as a peer tutor and makes plenty of As. She accepts, hoping to keep her scholarship and go to college, but is disappointed to learn that her mentor Maxine is flighty and unfocused. Jade spends the year navigating obstacles and challenges, working hard on her art, and learning to stand and speak up for herself while maintaining her identity. It’s a beautiful and nuanced book with an amazing cast of characters that feel very real. Dear Martin is actually a book I would recommend teachers order for their schools to make their students read. Because it doesn’t simply tell a story; it introduces the reader to various important equality-related topics and values. It seems to me that every student should read these books in the most difficult period of his life. This will help them cope with this and recharge their batteries for new feats. To the list of these books I would add a reading of the review EssayExplorer for example, a review of the service edusson. For students, this is useful when they write an essay and need help with writing it. Still I could advise some books for teenagers namely: Flowers for Algernon, 1984. 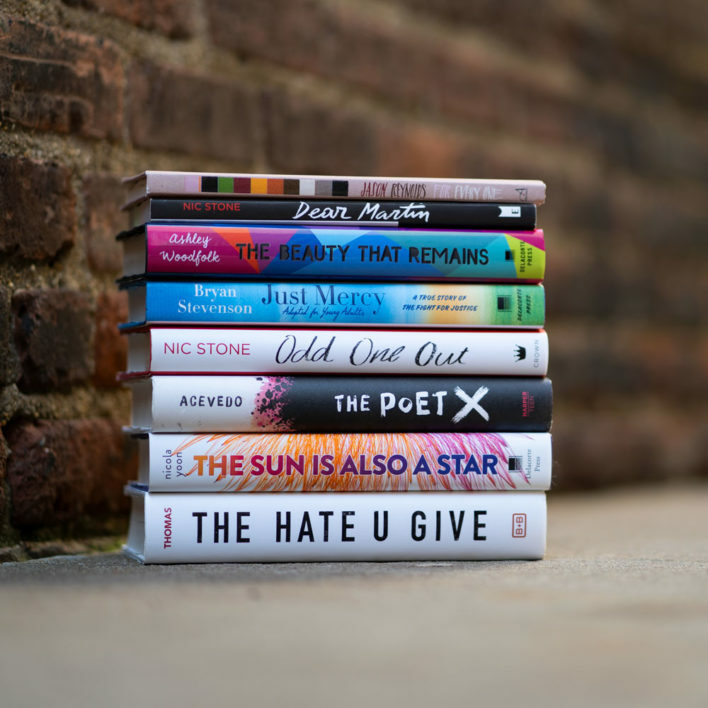 Celebrate Pride Month with These Queer Reads!